Well, it seems 2016 is the year of the Crochet Podcast. Hot on the heels of Crafternoon Treats launching her podcast on Youtube (worth taking a peek if you have a spare hour or so), the amazing Lynne Rowe has announced she too is hosting a crochet podcast, which will be called “The Crochet Circle”. The first episode launches today, April 1st, but I’m assured it’s not a joke! I am always in awe of Lynne’s talents and energy – she designs, writes features, tech edits and still finds time to get to the gym and now with Fay Dashper-Hughes hosts a podcast too! 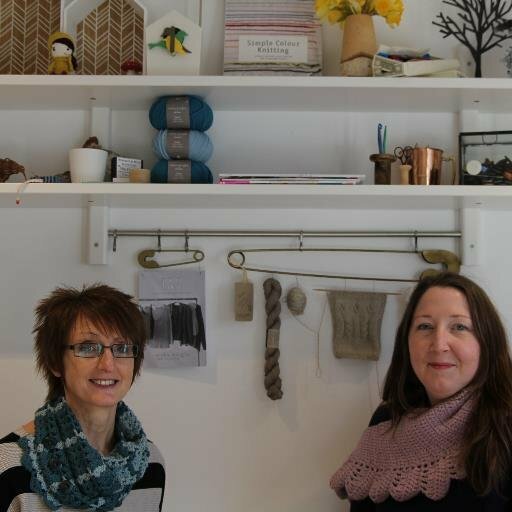 If you’re on Ravelry, you can join The Crochet Circle group and to make sure you don’t miss the first episode, follow Lynne and Fay on Twitter. Congratulations Lynne, and good luck – I shall be among your regulars – as will many keen crocheters I’m sure.